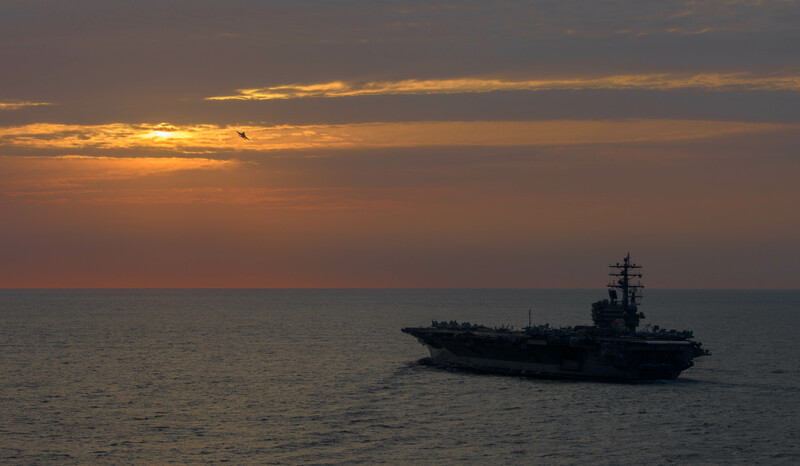 The U.S. Navy has begun dual-carrier operations with the USS Ronald Reagan (CVN-76) and USS Carl Vinson (CVN-70) in the Sea of Japan, a service official told USNI News on Wednesday. It will be first time two U.S. carriers have operated in tandem off the Korean Peninsula since the 1990s and follows several recent North Korean missile tests. “Operating two carrier strike groups in the Western Pacific provides unique training opportunities for our forces and provides combatant commanders with significant operational flexibility should these forces be called upon in response to regional situations,” Lt. Loren Terry told USNI News on Wednesday. 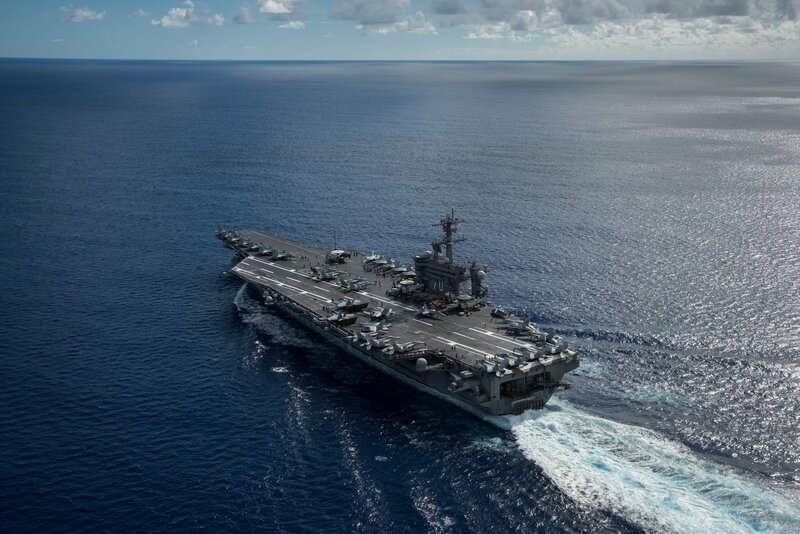 The Vinson Carrier Strike Group has been operating for the last several weeks off of Korea, while USS Ronald Reagan – the Navy’s forward-deployed carrier based in Japan – recently completed its yearly maintenance availability in Japan and commenced its spring patrol earlier this month. Vinson’s deployment was extended a month to conduct presence operations off North Korea. “Our mission is to reassure allies and our partners of our steadfast commitment to the Indo-Asia-Pacific region,” strike group commander Rear Adm. Jim Kilby wrote on the wall of the USS Carl Vinson (CVN-70) Facebook page. “We will continue to be the centerpiece of visible maritime deterrence, providing our national command authority with flexible deterrent options, all domain access, and a visible forward presence,” Kilby added. Chinese officials expressed concern over the operations during the Ministry of Foreign Affairs daily press conference in Beijing on Wednesday. “We have all been following how the situation on the Korean Peninsula evolves over the recent period of time, and hoping that tensions can be lowered, and that the nuclear issue of the Korean Peninsula can be brought back to the track of dialogue and consultation as soon as possible,” spokeswoman Hua Chunying said. While it’s the first time in decades two carriers operated in tandem off Korea, Reagan and USS John C. Stennis (CVN-74) conducted dual-carrier operations last year in the Western Pacific. Following the exercises, Vinson will return to San Diego to complete its deployment. The Vinson Carrier Strike Group deployment is being overseen by U.S. Third Fleet based in San Diego, Calif., as a test of the Navy’s ability to command and control forces in the Western Pacific from the continental United States, USNI News reported. The strike group departed in early January.